The meeting of the OPEC/non-OPEC Joint Ministerial Monitoring Committee (JMMC) was successful, Minister of Energy, Industry and Mineral Resources of the Kingdom of Saudi Arabia Khalid Abdulaziz Al-Falih said at a press conference on the results of the 13th meeting of the OPEC/non-OPEC JMMC in Baku, Trend reports. "We discussed a number of important issues. We decided to accept new members - Iraq, Kazakhstan, Nigeria and the UAE," the minister said. 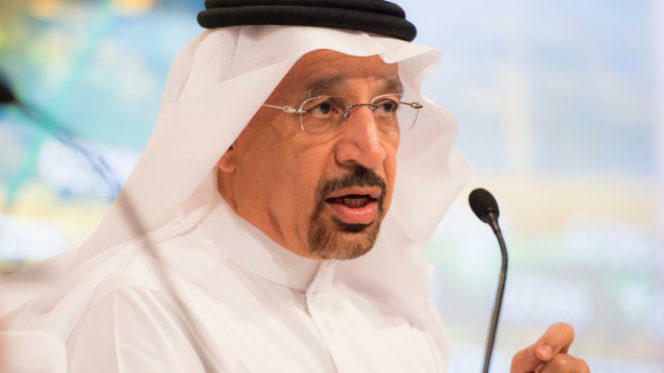 Moreover, as noted by Al-Falih, the next steps needed to stabilize the market were discussed. The minister added that it does not make sense to hold the meeting in April and it may be canceled.